Let me state the obvious, my Bible journaling that I share here on The Littlest Way is going to look differently than yours. The Bible journaling you see on Pinterest, is going to look different than yours. Accept that before you even crack open your Bible or journal; it will save you lots of frustration! Let me state another obvious, I am a total and complete beginner to Bible journaling. I am not overly artistic (see my Bible Journaling Tips for the Hesitant for proof). I prefer word painting to mixed media and weaving sentences to sketching. Some days my Bible journaling may look more like a collection of verses strung together rather than an artistic interpretation of the verse read…that’s ok with me. That’s ok with God. Here’s what I’ve learned the past year, it’s not the finished product but the by-product. It does not matter one bit how creative I am and how well that translates to paper. What matters is the time I spent in the Word of God. Whether or not I can translate my idea to paper does not matter. Whether or not I translate that time with God into my daily life does. You will find a collection of posts here sharing ideas, tips, and examples. You see, I think Bible journaling is not so much about the finished product as it is the process. God doesn’t care if we have a beautiful journaling Bible; one we spent hours of time and more money than we’d like to admit…if we have an ugly heart. God doesn’t care if we spend one hour in creative Bible journaling every day of the year if we don’t have time for one of the least of His children. Sitting down with the Word of God is never going to be a waste of time and not all art that comes from time spent with the Word of God is produced on paper. Did you get that last part? Not all art that comes from time spent with the Word of God is produced on paper. Our art, this spiritual discipline, should solely be a means to an end. And that end is closer friendship with God. A friendship and love that is so great it overflows into all areas of our life–from how we treat our family and friends, to strangers and even ourselves. encourages you, thanks be to God. On the other hand, if these posts discourage you, please stop reading them, they are not meant for you.
. I have posted a One Year Bible Reading Plan I will be using in my Bible this year. If this plan is not for you, that’s ok…but find one that is…said in my best oldest sister voice. These are the resources I determined would help me make daily Bible reading and journaling a priority. They may not work for you. But please find a Bible and plan that does work for you if these don’t. Just like the art production is not the most important aspect of Bible journaling, neither is the particular plan or even Bible translation. 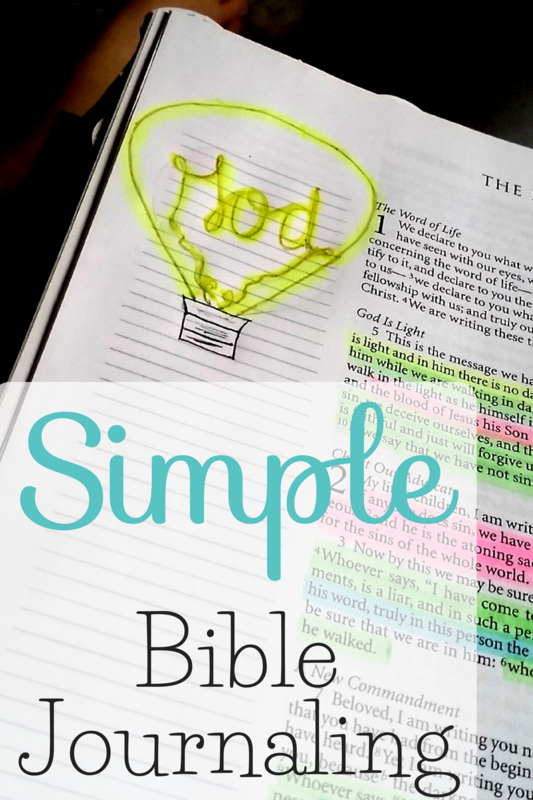 If all you have is a Bible, a cheap spiral, some pens, and highlighters–start! You have everything you need. As you grow and learn, if you decide you want to be more creative, than by all means go for it! Below you’ll find posts sharing Bible journaling tips, techniques, materials and encouragement. 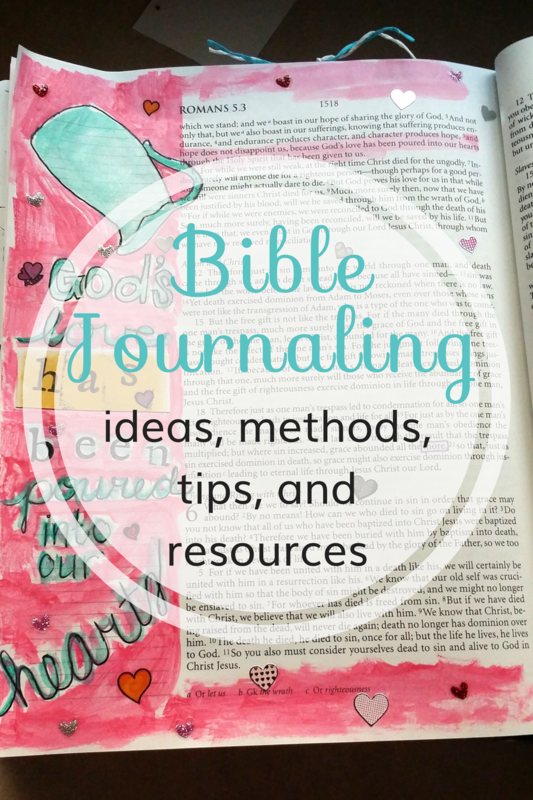 Bible Journaling When You Don’t Have a Journaling Bible **A Catholic Journaling Bible is coming out the end of December 2017 or beginning of January 2018! Click this link for all the fabulous details and go get yourself one! Catholic Bible Journaling **A Catholic Journaling Bible is coming out the end of December 2017 or beginning of January 2018! Click here for more information.